Wizards and witches! How’s your History of Magic? You can’t make it through Hogwarts without knowing the subject inside out. 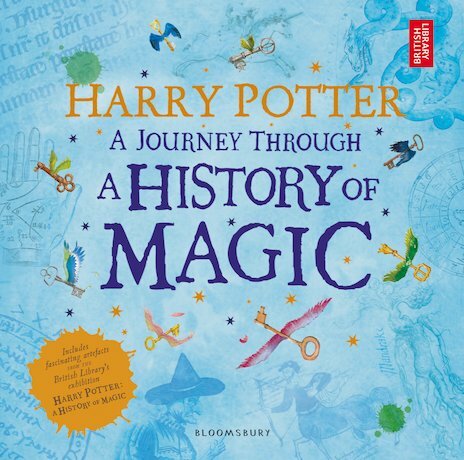 Now this quirky book takes you on a spellbinding romp through Harry Potter’s wizarding world, from mandrake roots to mermaids, and from alchemy to unicorns. Marvel at J.K. Rowling’s unseen sketches, original manuscript pages and Jim Kay’s dazzling colour artwork. Check out secret magical artefacts with weird and wonderful powers. Get on top of the Hogwarts curriculum, including Defence Against the Dark Arts. Learn the secret of the Philosopher’s Stone. Brew your own potion. Create invisible ink. And much more!